Happy video day all. Today's video is of the simple Diaper Fold. 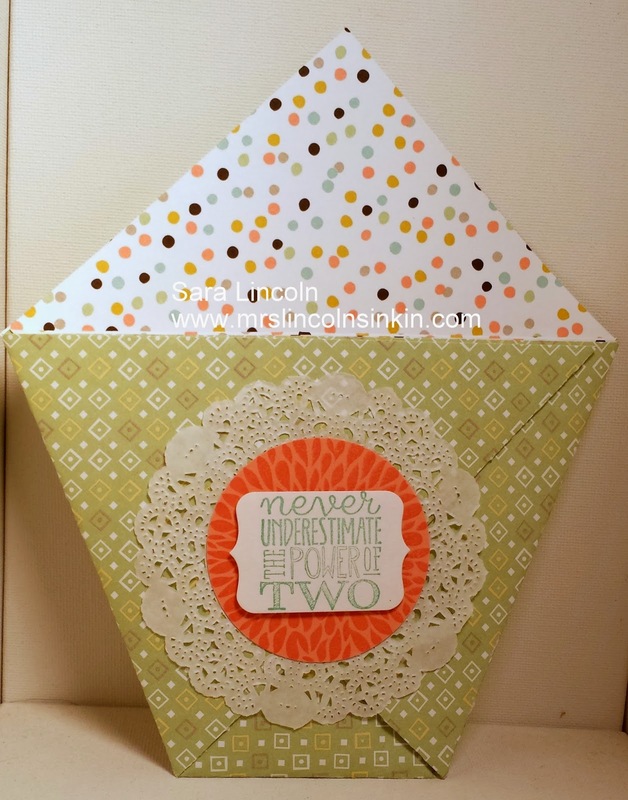 This is such a cute, cute, cute fold for a baby shower invite and table gift. You could fill it with little candies, game sheets, whatever your heart desired. 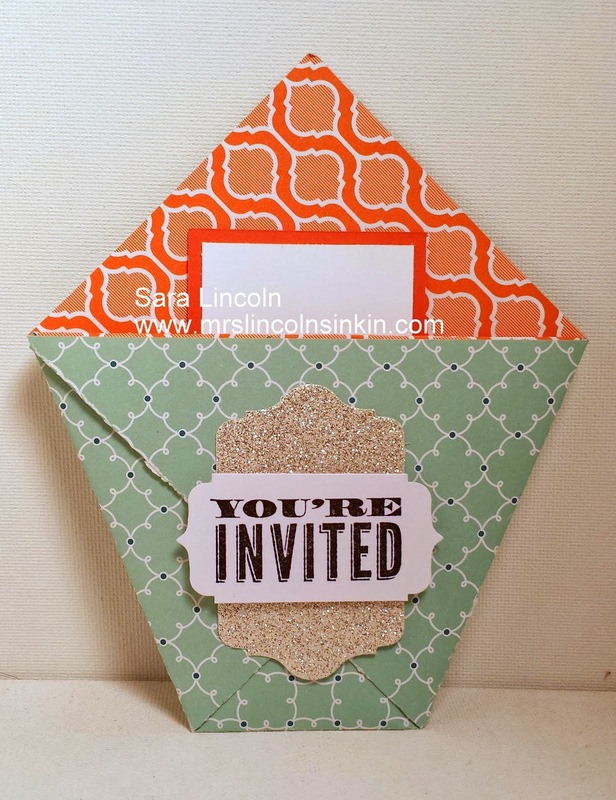 Today's share is of a larger one, which i would use on my table and then one that i made for my invite. 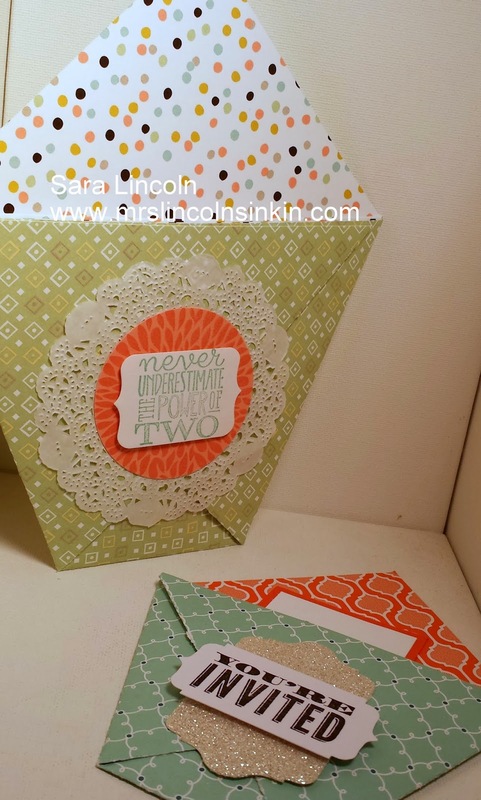 These can be made in any size really, as long as the paper is square.. meaning it is the same on all 4 sides. Which i talk about more in today's video. Let's not wait any longer, roll film!!!! Isn't that awesome? I love them!! I just think they are the cutest things! The item that i am showcasing today is the paper that i used on the larger diaper, which again is the one that i would use for a table decoration. The paper is the Sweet Sorbert and you can get it for FREE right now from the SAB Brochure. All you have to do is purchase $50 worth of product (prior to s/h and tax) and you can pick any item out of the SAB Brochure for free, And it is unlimited! Meaning that is for every $50 you spend you can get a free item.